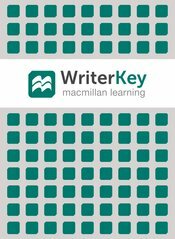 Built around best practices for feedback and revision, WriterKey puts student writers at the center of your course. Robust review tools allow you to quickly comment on assignments—using voice or text--and link to a flexible rubric and comment library all from one screen. Students use the same tools to reflect, ask for feedback on specific areas, and review each other’s work. Powerful analytics, tied to instructor comments, show writers’ strengths and areas for improvement. A side-by-side view of drafts lets students revise their work while they apply teacher and reviewer feedback. After revised drafts are submitted, instructors can compare drafts and view analytic data to see revision in action.